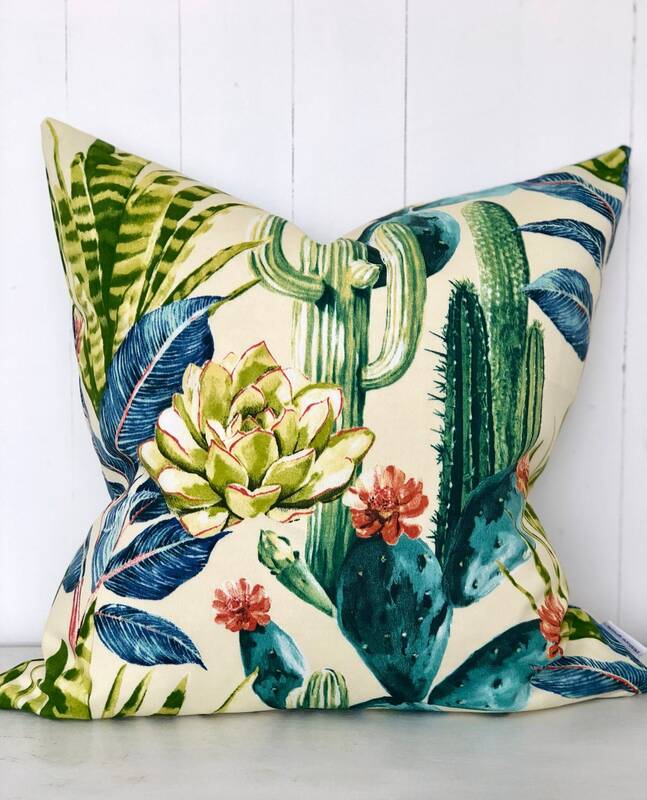 Name everything that is "Oh so on trend right now" and it is all in this cushion! 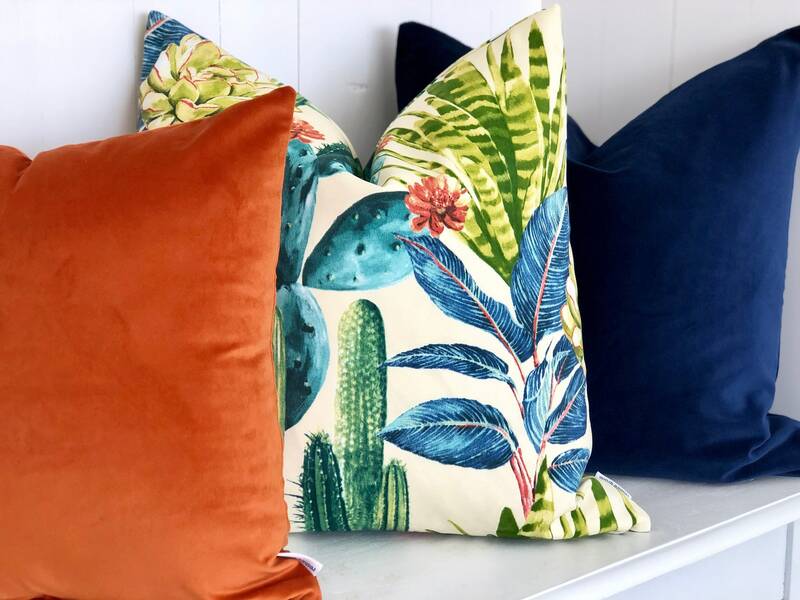 Cacti, succulents, burnt orange, rich blues, teal and green! 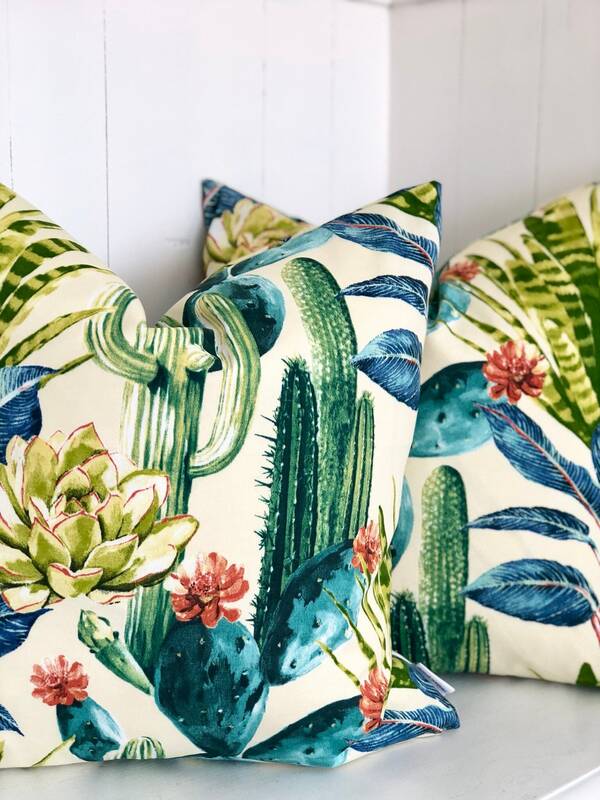 A cactus garden full of succulents, cactus flowers and beautiful tones! 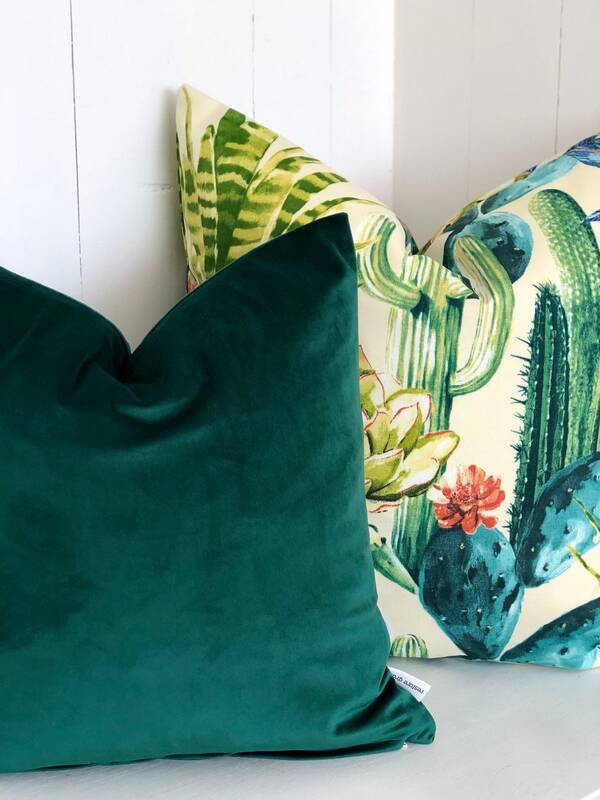 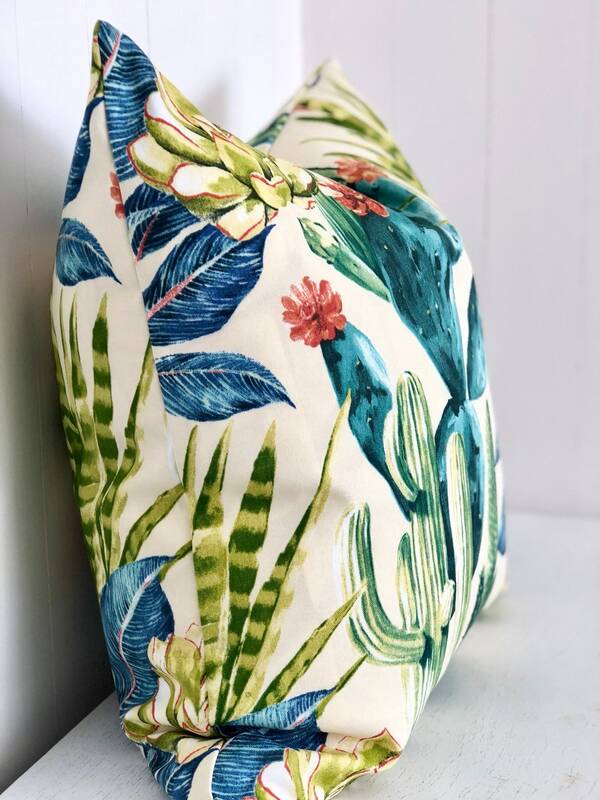 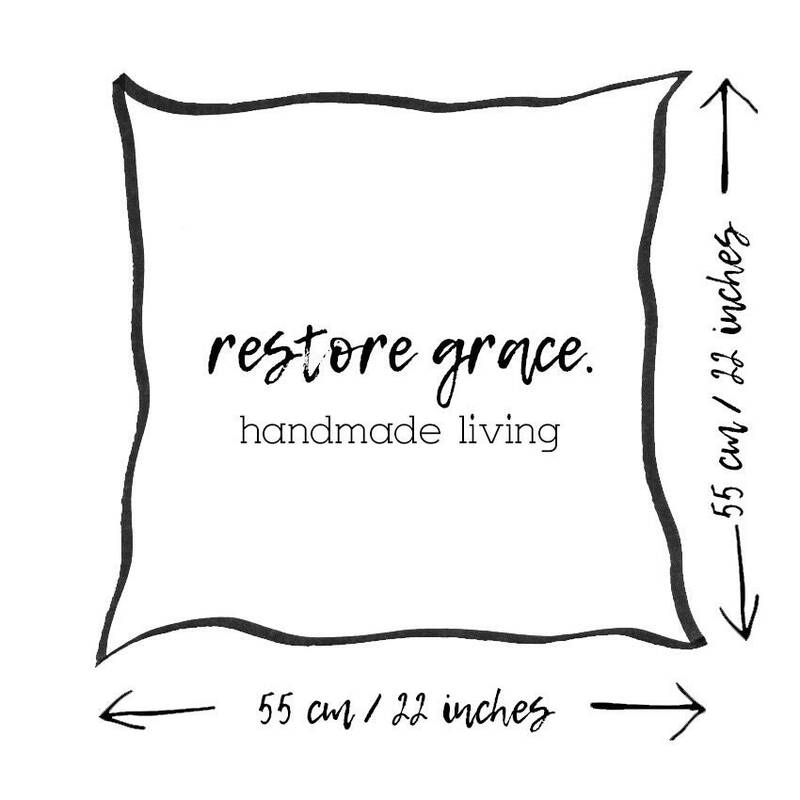 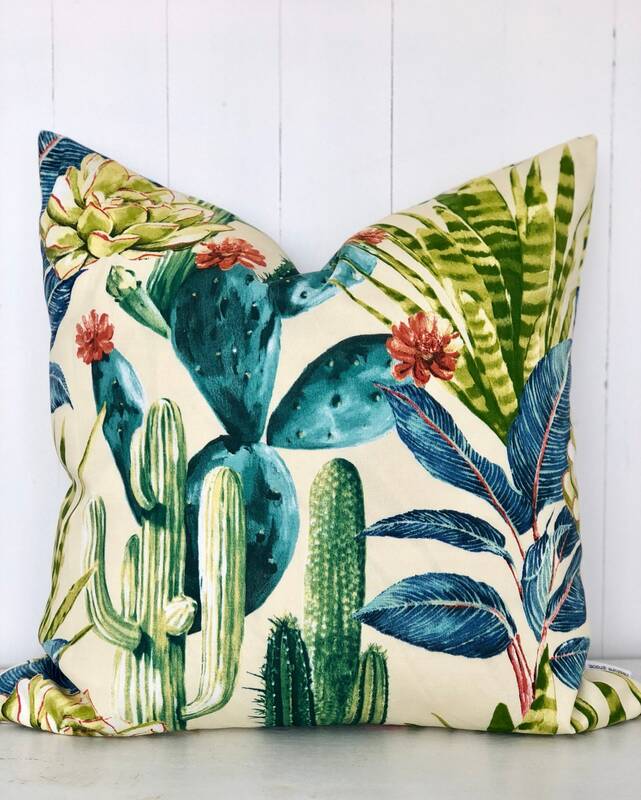 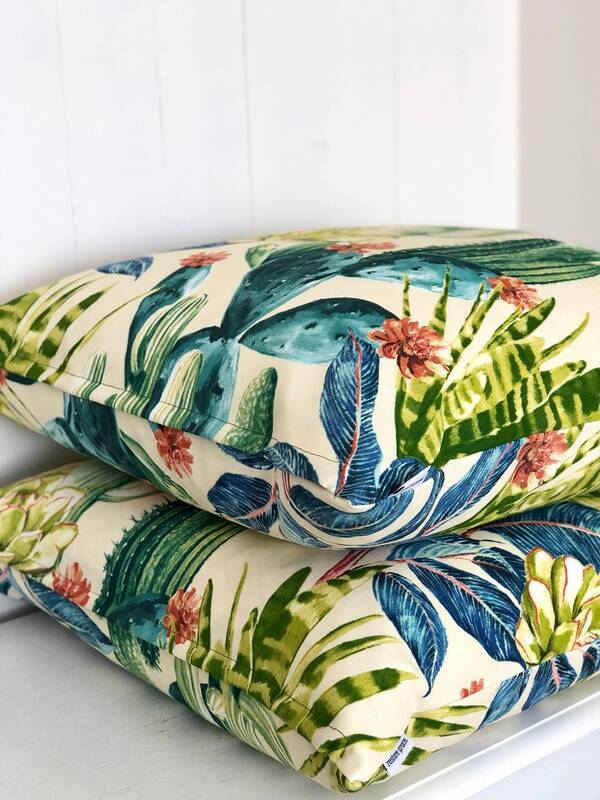 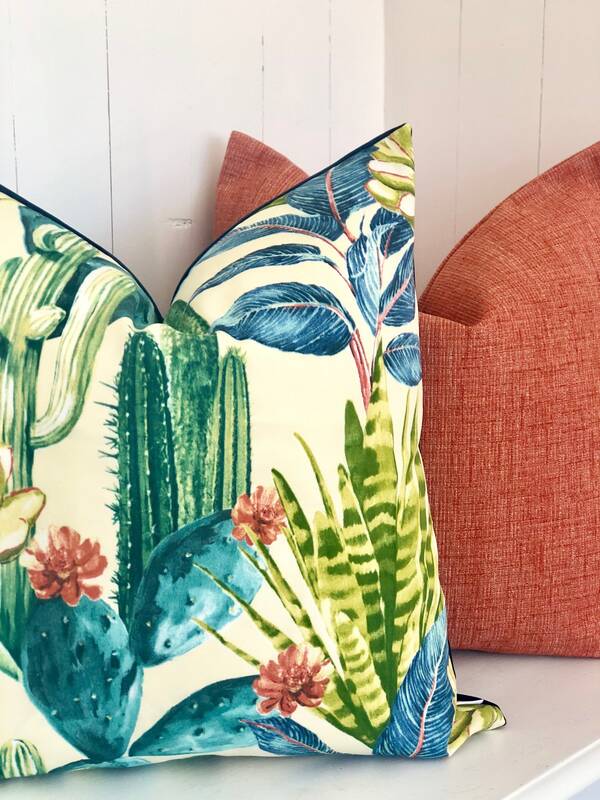 Although some of our gorgeous cushion fabrics are made by Designers, such as this by Abbey Shea, all of our cushions are HANDMADE by restore grace.